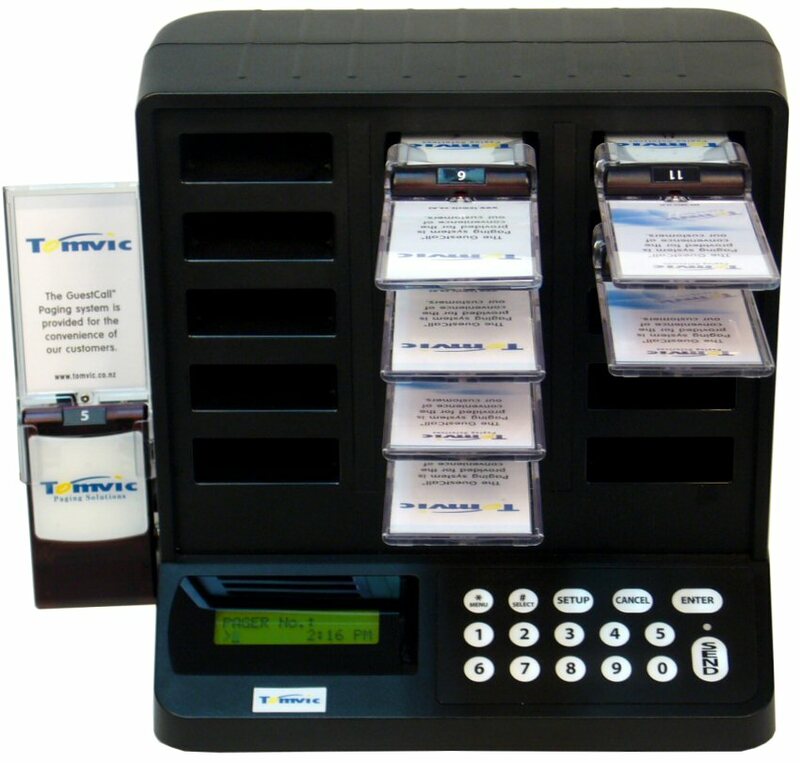 Our slim-line pagers flash and vibrate when activated, via the all-in-one transmitter charger units, alerting the customer to return to the counter for instant service. Our GuestCall systems will result in higher traffic and improved restaurant traffic flows leading to faster table turns and improved profitability for your restaurant. Simply returning the slim-line pager to the transmitter will keep them charged for hours of use.